I've been an avid reader since I was young. I wish I had an incredible story to tell you of how I came to be a reader, or exactly which book it was that sparked my love for reading, but I really can't remember. I can only imagine how magical it must've been. The parallel universe that was opened and the imagination inside of me that awakened. That imagination is still with me, and the excitement of being able to immerse myself in the pages of a book still fills me with warmth. I thought it'd be fun and interesting to share with you some of the books that I particularly loved as a child. And by 'child' I'm mostly focusing on books I read between the ages of 7 and 11, so there will be a little bit of middle-grade thrown into the mix also. As I was doing my research and compiling a list of titles I realised that there are far more titles than I had anticipated, so I think I'll be breaking this post up into parts. Basically anything by Roald Dahl. Roald Dahl was THE man when I was younger. Seriously, every book he wrote was gold, at least in my opinion. I can't remember which I read first, but I remember that in third or fourth grade our teacher read us a book of his. It was either The BFG or the Twits, but I remember loving it so much that I immediately went to the library and swiped the shelves clear of every one of his other titles. I think I've read almost every one of them, but my particular favourites are the ones shown below. The Witches, Charlie and The Chocolate Factory, The Twits, The BFG and of course, Matilda. This series was very close to my heart. It was an incredibly heartwarming journey with a large focus on the importance of family and friends. I have a very complicated family and I think that was part of why I loved these books so much. A part of me was especially drawn to the intimacy of the close-knit community that acted like a large community. Over the course of the ten books I witnessed Flora and Ruby grow up, and I was growing up too. We grew together. I will always have a soft spot in my heart for this series. Just the thought of it fills me with warmth. The adventures of Clarice bean are utterly unique, hilarious and fun. There's no other way to put it. I think Clarice Bean remains one of my favourite female protagonists, she just had something incredibly earnest and genuine going on. She was the kind of girl that I wanted to be best friends with. The extremely witty dialogue is probably my favourite feature, and the illustrations here and there made my heart sing. The books prior to these, the picture books, were so beautifully composed I can't even describe how happy they made me. The whimsiically-styled illustrations as well as the use of different textures and patterns continue to be some of my favourite artworks. They're so darn beautiful! Part of me questions why this book is classified as a 'children's' book. In my opinion this book is a classic tale for people of all ages, filled with gorgeous illustrations and words wiser than those in some young adult or adult novels. The lyrically mesmerising prose of this novel is not it's only shining star. Looking back on the story I have come to realise just how poignant a tale this is. It tells of very honest concepts such as loneliness, and innocence as a fragile gem that can easily be corrupted by the evils of the real world. I think the younger me may not have given this book the appreciation that it deserved, but the present me is currently trying to clear her calendar to make room for a re-read. I'd really love to know if you've read any of these books and how you enjoyed them! If you haven't, what were some of your favourite books as a child? I hadn't anticipated this post to be so long, but this isn't even half of the books I was hoping to feature. I'm going to end it here and I'll probably post the next part later on in the month, so keep your eyes peeled for that! Roald Dahl WAS my childhood! My parents bought me a huge book with a collection of his stories, but we moved house and it went missing :-( I was so sad. It keeps coming to my mind and I wish I still had it to pass onto my niece :-( I'm sure there are plenty more in the shops, but it's not the same. My favourites are similar to yours: The Witches, Matilda, Charlie and the Chocolate Factory and The Twits. 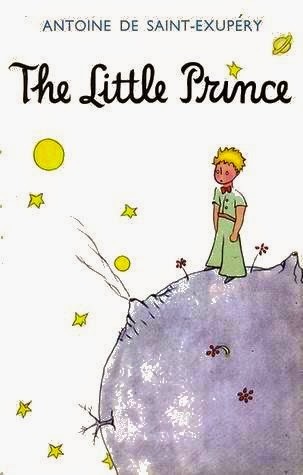 I haven't read the others that you mentioned, but I'd love to read The Little Prince. This is Maddie. She's a full-time fangirl with an insatiable appetite for young adult literature and a penchant for all things pretty. When she's not on reading she can usually be found writing short stories, watching crime shows, or stalking French bulldogs on instagram. She also enjoys writing in the third person. For dramatic effect, of course. The 2016 Bookish Bingo Challenge! Madison Croox - The Girly Geek © 2015 | Design by Madison Croox. Powered by Blogger.